Ophthalmology Courses Introduction: There are various medical science courses dealing with different specializations like heart, liver, stomach and intestines, bones, skin etc. And different doctors deal with different specializations and they are named according to the specializations. For example, Cardiologist for the heart, Orthopaedician for bones, Endocrinologist for stomach & intestinal system, Ophthalmologist or Optometry for eyes etc. Now let’s go with the concept of Ophthalmology. There are various Ophthalmology courses at various levels i.e. after 12th, graduation and post-graduation etc. The students who are interested in eye care specializations can pursue those courses. Let’s look for some of the Ophthalmology courses at various levels in India. The Ophthalmology Courses after 12th include Diploma in Optometry, Degree courses of Optometry & Ophthalmology, Diploma in Ophthalmic Assistant etc. The Ophthalmology Degree Courses include B.Sc. Ophthalmology, B.Sc. Ophthalmic Technicians, B.Sc. Optometry etc. The advanced Optometry Courses include M.Sc. Ophthalmology, M.Sc. Optometry, Master of Optometry, M.Ch. Ophthalmology etc. The scope for B.Sc. Ophthalmology might be extended due to demand for the course which deals with diagnosis, ocular system, visual instrumentation operations etc. to prevent the eye problems and diseases. Ophthalmologists who are also called as Ophthalmic Technologists or Ophthalmic medical assistants are trained professionals conduct diagnostic eye testing, collect data and assist other ophthalmologists for eye surgeries. Let’s look out for course details of B.Sc. Ophthalmology which can be furnished below. The duration for B.Sc. Ophthalmology is completely 3 years. The eligibility for B.Sc. Ophthalmology is 10 + 2 or any equivalent with Physics Chemistry, Biology and Mathematics as their basic stream. The average fee for B.Sc. Ophthalmology might be Rs.2, 00, 000/- to Rs.4, 00, 000/- for 3 years. Though Ophthalmology courses are demandable courses, there are various colleges hiring B.Sc. Ophthalmology in and around India. Let’s look for various colleges for B.Sc. Ophthalmology in India. JSS Medical College, Karnataka etc. 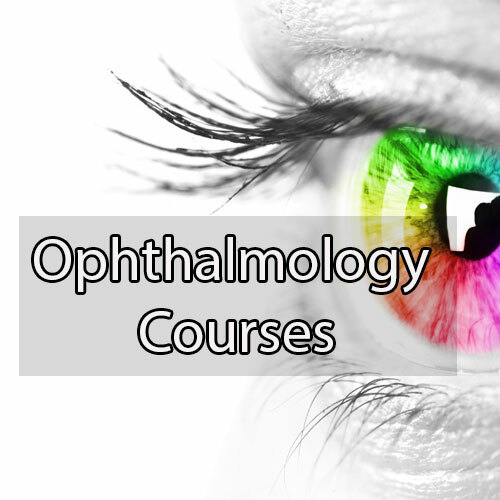 There are various courses related to Ophthalmology in various states in India. In Tamil Nadu, there are a few courses related to Ophthalmology. Let’s view some of the Ophthalmology courses in Tamil Nadu. There are various courses related to Ophthalmology in Thiruvananthapuram like Bachelor of Science in Ophthalmology, Diploma and Post-graduate diploma programs with duration from 6 months to 3 years respectively. And there are various colleges hiring those courses in Thiruvananthapuram like Regional Institute of Ophthalmology, Trivandrum Medical College etc. There are various Ophthalmology Courses available in many states of India. In Kerala, only two courses for Ophthalmology are available viz. B.Sc. Optometry and Diploma in Ophthalmic Assistant (DOA). The duration for diploma course is 2 years whereas for B.Sc. Optometry is 4 years including internship. The courses include various theoretical and practical studies relating to different branches of Ophthalmology & Optometry. Colleges that hire for Ophthalmology courses in Kerala are Amala Institute of Medical Colleges, MES Medical College etc.